[Update 2 11th Dec 2014] – Finally, Youtube Offline is here. 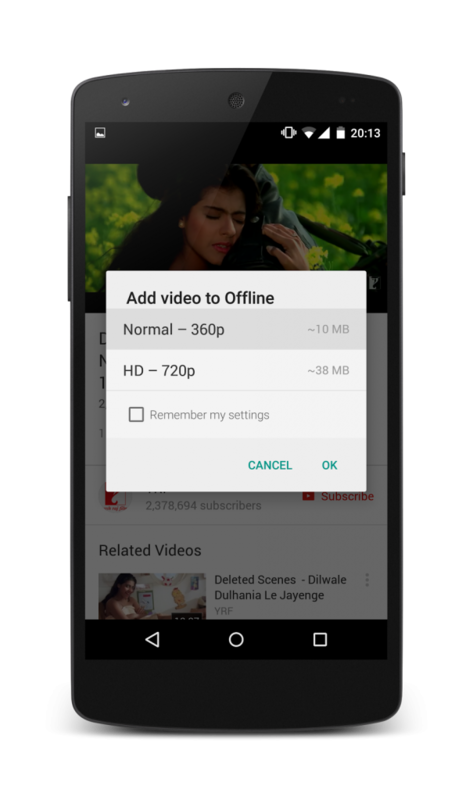 In an official announcement, Google has said that Indians can now view Youtube videos even when they are offline. The new feature will be available inside Youtube mobile app. With this feature, people can choose to add the video for offline viewing by tapping on the offline icon that sits under the video frame. Most of the Youtube content in India is now enabled for offline viewing including video content from popular publishing houses like T-Series, Saregama and Yashraj Films. With Offline feature, Indians can now download the videos before hand on Wi-Fi connection and enjoy it for next 48 hours even if you are not connected to internet. This is awesome! Update 1: According to a Android One website, this service will be available free of cost. Check here. Apart from the launch of Android One Smartphones, one significant announcement was made by Google today – Youtube will be available to users in India in offline mode. So, if you are wondering how can “Youtube be available offline” – here is an explanation. It works exactly like many music streaming apps like Gaana and Dhingana work. Users will be able to download the videos when they are connected to internet and can later watch these videos at their own leisure even when there is no connectivity. The videos will essentially get downloaded on your device and can be seen later through Youtube App. In today announcement, there were no specifics about the exact date, or whether this service will come at a cost or not. 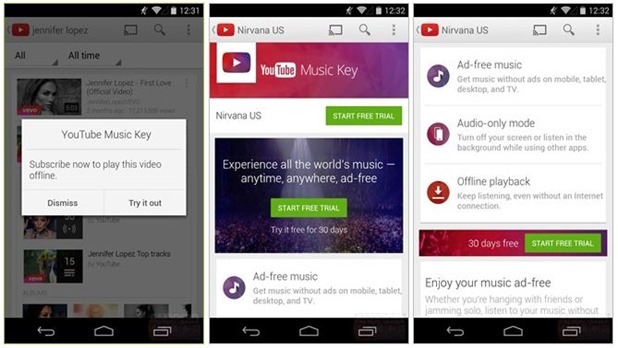 However, one thing is sure Youtube offline access will soon be coming to your smart devices. A report by Android Police last month had mentioned that Google will be launching a Subscription service with offline support. But the report pointed only towards music availability. The announcement made by SenGupta today clarifies that it will not be just music videos, but other general videos will be available too. The report also mentioned that the services will offer a 30-day free trial to start, after which the service will run $9.99/month. While the subscription price of $9.99 may not be true for India (no one will pay that kind of amount in India), it is quite possible that Youtube may come up with some advertising based monetization strategy while keeping the actual videos free. In our view, offline Youtube may find lot of takers if it is available based on ad-supported free model. Also, Google may offer this service in partnership with Indian Telecom Operators just WhatsApp , Twitter or Facebook packs are offered. We are keeping a close eye on developments, and will bring you more details as soon as we know more on it.